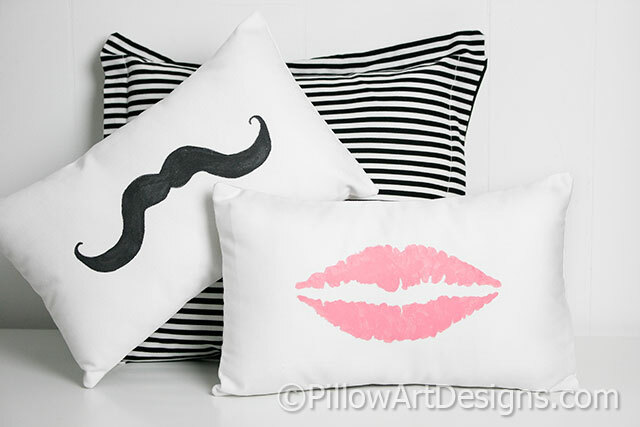 A set of two his and hers mini pillows, one with pink lipstick imprint, the other a black moustache. 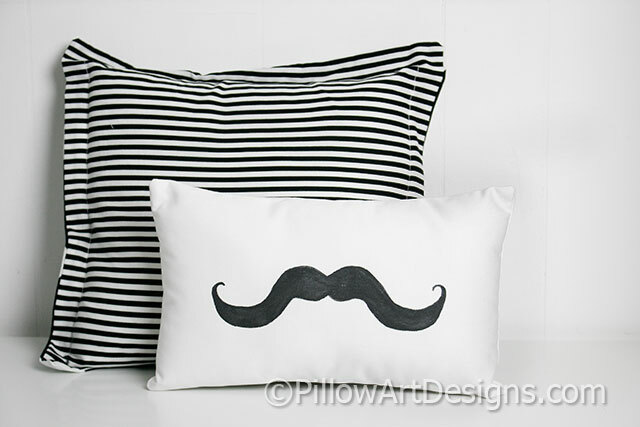 Pillows each measure approx 8 inches x 12 inches. 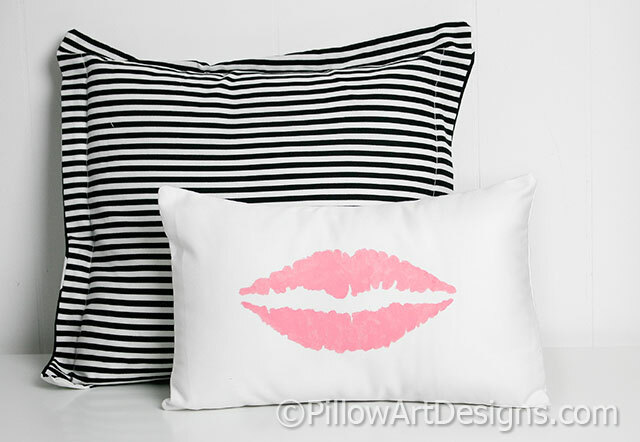 Fabric is white cotton twill, fully lined with white cotton polyester. 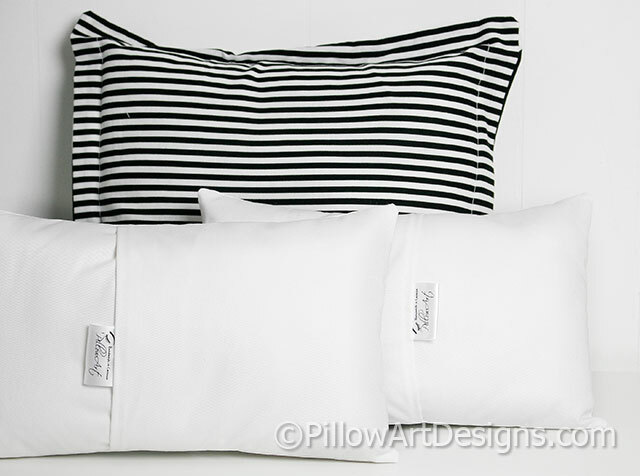 Pillows come stuffed with hi loft polyester fiberfill, no need for an insert. For the very best results, remove stuffing and turn inside out to wash by hand in cold water, lay flat to dry.